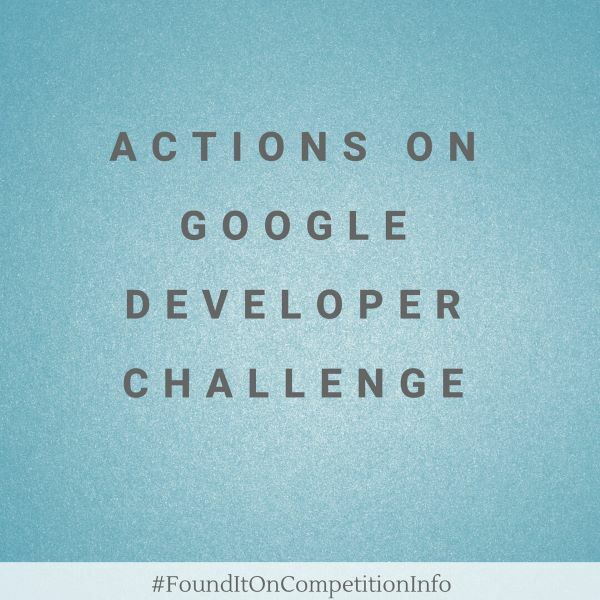 The Actions on Google Developer contest is an opportunity for you to turn your inspiration into action by building apps for the Google Assistant on Google Home, select Android devices, and the iPhone. - Tickets to Google I/O 2018. - You’ll get to explore the Google campus, enjoy their delicious food and meet the Google Assistant team. - $10,000 along with serious bragging rights. Only new apps submitted for approval after May 17, 2017 are eligible.